Gary J. Goldberg was appointed President and Chief Executive Officer and joined the Board of Directors of Newmont Mining Corporation on 1 March 2013. DENVER, March 1, 2018 – Newmont Mining Corporation (NYSE: NEM) (Newmont or the Company) announced that its President and Chief Executive Officer, Gary J. Goldberg, received the Charles F. Rand Memorial Gold Medal for his leadership and contributions to the mining industry in “transforming organizations to elite status of value, sustainability and safety.” The award was presented by the American Institute of Mining, Metallurgical, and Petroleum Engineers (AIME) during the 2018 Society for Mining, Metallurgy & Exploration conference. The Charles F. Rand Memorial Gold Medal was established in 1932 and is awarded for distinguished achievements in mining administration. Charles F. Rand was President of AIME in 1913 and Treasurer from 1922 to 1927. Rand developed mines and new processes in iron mining and was President of several mining companies. Gary J. Goldberg was appointed President and Chief Executive Officer and joined the Board of Directors of Newmont Mining Corporation on 1 March 2013. 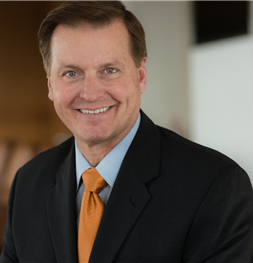 He previously served as Newmont’s President and Chief Operating Officer. He is credited with turning Newmont’s performance around through a disciplined focus on value over volume. The Company now leads the gold sector in value creation as measured by cash flow generation, and has been named the top mining company in the Dow Jones Sustainability Index for three years running. Prior to joining Newmont, Mr. Goldberg held leadership roles in Rio Tinto’s global coal, gold, copper and industrial minerals businesses. His career spans more than 30 years in the mining industry. In 2014, he received a lifetime achievement award for his contribution to mining safety from the Society of Metallurgical Engineers, and in 2017, he was inducted into the American Mining Hall of Fame.